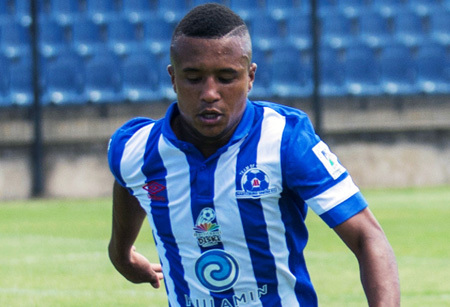 Maritzburg United's reserve team have started very well in the Multichoice Diski Challenge having won one and drawn one in the two games played so far, and are sitting on position five on the log. This will come as consolation news to Maritzburg United faithful since the senior team has not had the best of starts to the PSL Season thus far. The opening encounter for the boys was away to Platinum Stars whom we walloped 3-1. Khumbulani Banda scored a goal that will definitely be a serious contender for goal of the season. We then played Kaizer Chiefs away in what was an eight goal thriller with the final score at 4-4. “Unlike last season, this time we are fully prepared and we mean business. These guys are hungry for success and they are putting their hands up for consideration in the senior team” said Marketing and Communications Manager, Brian Zuma. MUFC takes on the TUKS in their first home encounter at Harry Gwala Stadium this Saturday the 19th of September 2015. Kick off is at 10am and Tickets are available for free at Computicket.